Sample 18" x 18" @ $12.73 (Includes Postage) and is typically mailed within 2 business days. Yardage - Whole Yards Only Note ! If you need to order more than the 1 Yard we currently have in stock, a larger quantity may be Special Ordered from the mill subject to at least a 5 Yard minimum order. In stock yardage is typically shipped within 2 business days. Special Orders typically ship in 7-10 business days. 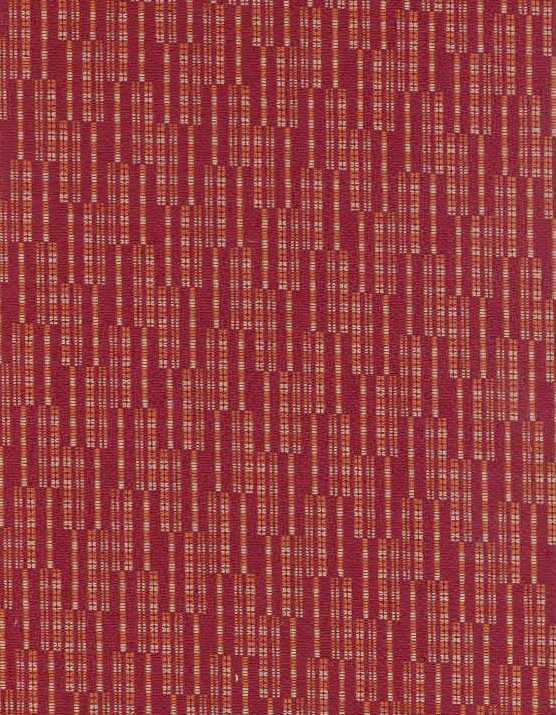 Debut Pomodoro is a small scale, contemporary, woven jacquard design with shades of Tomato Red, Crimson and Pale Yellow. This tightly woven fabric has a slight texture and is very durable. It will make a wonderful coordinate for other woven patterns, prints and leather. Debut is suitable for drapery, curtains, cornice boards, pillows, cushions, bedding, headboards and furniture upholstery.